An occupation military court re-sentenced six former prisoners, released in the Wafa al-Ahrar prisoner exchange, re-imposing their original life sentences, in a hearing on July 15. 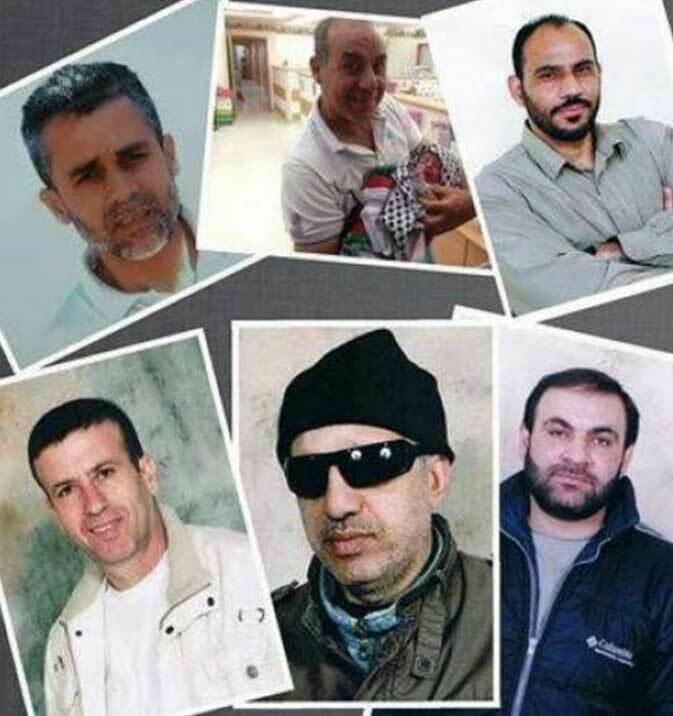 These six Palestinian political prisoners are Adnan Maragha, Ismail Hijazi, Alaa Bazian, Nasser Abed Rabbo, Jamal Abu Saleh, Rajab al-Tahan. All six are from occupied Jerusalem. They were released in 2011 following an exchange agreement between Hamas and the Israeli state which saw captured occupation soldier Gilad Shalit released in exchange for 1024 Palestinian prisoners. As part of its campaign of arrests and persecution since June 12, occupation forces have seized many former prisoners, including 60 released in the Wafa al-Ahrar agreement. Three of the men, Adnan Maragha, Alaa Bazian and Nasser Abed Rabbo are pre-Oslo prisoners, meaning they were arrested and have been held before the implementation of the Oslo accords in 1994. Release of all pre-Oslo prisoners has been a Palestinian demand for over 20 years. The Palestinian Prisoners Society that four former prisoners re-arrested following June 12 will have hearings today: Ahmad Al-Awawdeh, Khaled Makhamra, Mahdi Al-Assi, and Samer Issawi, whose 270-day hunger strike drew massive Palestinian, Arab and international attention – helping to secure his 2013 release – the last time occupation forces attempted to re-impose his sentence, claiming he had left the boundaries of Jerusalem without permission. The “hearings” conducted in these cases involved lengthy closed sessions with prosecutors and the Shin Bet presenting “secret evidence” to the court before short public hearings at which the defense can present. The six were accused of having “contact” with organizations the Israeli state deems to be prohibited and “hostile,” including Hamas, Islamic Jihad, the Popular Front for the Liberation of Palestine and the Democratic Front for the Liberation of Palestine, four major Palestinian political parties with members and supporters in nearly every Palestinian town and family. Samidoun Palestinian Prisoner Solidarity Network notes that these arrests are entirely political and an attempt to dictate that no Palestinian shall ever be truly free and that the prison bars are never taken away for any Palestinian prisoner; it is also an attempt to undermine the Palestinian resistance and the successes it has achieved in freeing prisoners. As Israeli occupation forces have killed over 200 people in Gaza with their bombing raids in the past week, the occupation is seeking to kill prisoners with the slow death of re-imposed life sentences for “violation of release conditions.” This also makes clear once again that the courts are part and parcel of the structure of occupation and oppression that Palestinians confront and not a mechanism for justice. 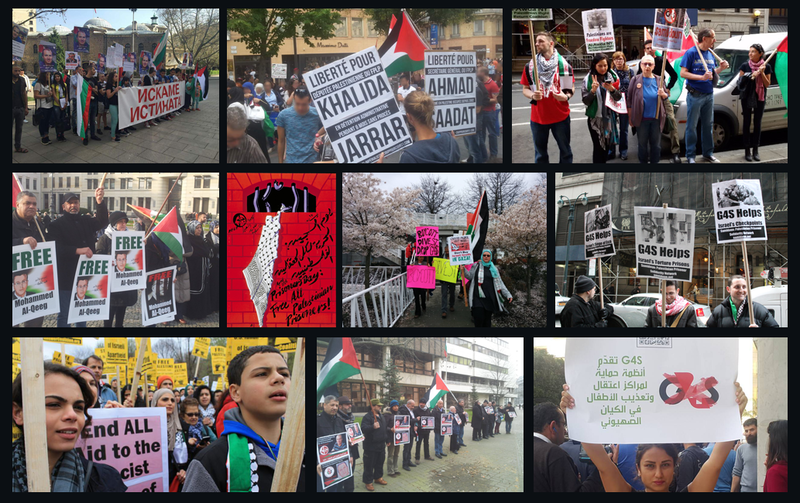 TAKE ACTION: Attend one of the protests around the world demanding an end to the assault on Gaza and the mass arrest raids and killings of Palestinians in the West Bank, Jerusalem and Occupied Palestine ’48.